There are a lot of shows making the rounds this summer, competing for your money. Some you should stay away from, and others you should sleep outside the area to get in. 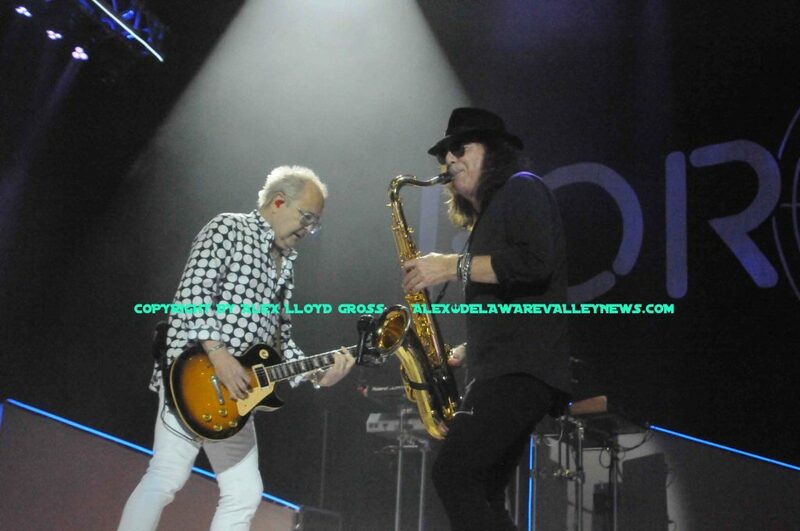 Foreigner, on tour with Whitesnake and Jason Bonham’s Led Zeppelin Experience is one that you should see.. The trio rolled into Camden June 23, 2018 during the start of the Jukebox Heroes Tour and played to a decent crowd . First up is Jason Bonham, close your eyes and you would swear it’s Zeppelin. Let’s face it, we are not going to see Led Zeppelin anytime soon. Lots of very good tribute bands are there, but these guys feature the drummers son, Jason. It’s as close as you will get and as good as you will get. When they played Stairway to Heaven dedicated to Pantera drummer Vinnie Paul, who had just died, the audience showed the appreciation. . A sharp promoter will pick these guys up and book them locally to headline. Whitesnake. was up next. back in the 1980,s beautiful girls would flock to see this band play live. In 2018 those girls grew into beautiful women and they still came out to support the band. This was kind of a short set for the band, so there was no time for deeper cuts. It would be great to hear the entire “Slide it In” album but we had to settle for the top cuts. Songs like “Cheap and Nasty” are great when played live and that song should have been inserted into the set instead of a solo. This band was on fire and proved like fine wine, they bet better with age. 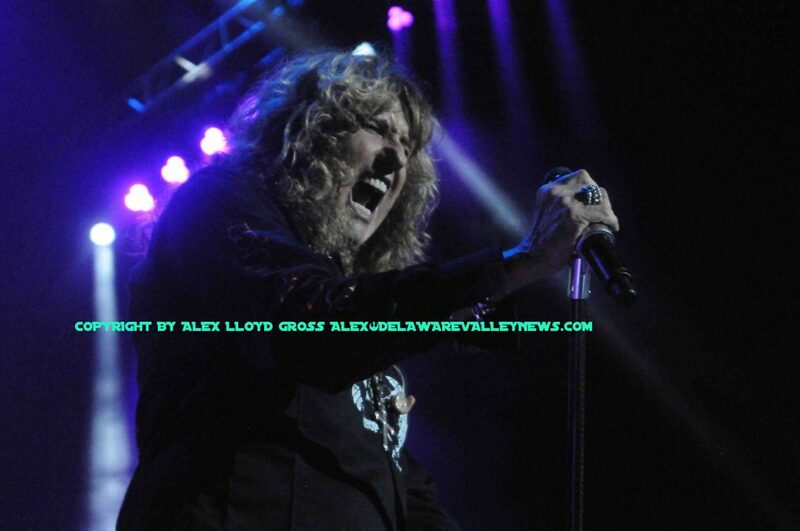 David Coverdale did a stint in Deep Purple but no purple songs were done. . The band was tight. It was a treat to see them as Whitesnake does not really come around to this area much. Foreigner took the stage to headline This band does play the region quite frequently and seeing them was like a reunion of old friends for some folks in the crowd. Kelly Hansen , lead vocalist was not content to just play on the stage. He would jump into the crowd, walk around in the audience and sang. 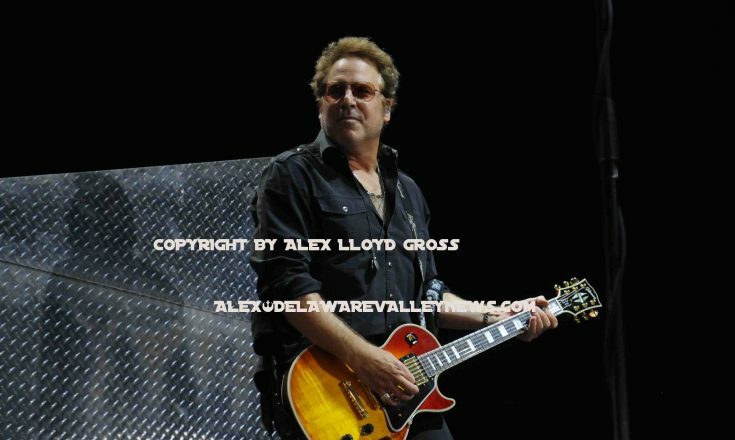 Mick Jones, founding member of the band was the backbone, he was just killing it with his lead guitar riffs. Frequently, he would toss guitar picks to the crowd and audience members would clamor for them. 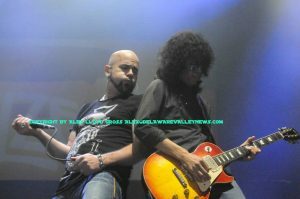 As Tom Gimbel would help out with rhythm guitar or switch to horns, the show was worth the money. During “Star Rider” the entire lighting tress moved and Jones was surrounded in a laser pyramid. Gimbel played flute on that song as well. They were restricted to a 90 minute show. Hopefully, they will come back and play more deep cuts. While “Feels like the First Time” and “Double Vision” are great and need to be played, could you imagine hearing “Rev on the Red Line” played live? That would be off the hook. This is the first leg of the tour. It’s just starting. If you live in another area and you are on the fence about going, come off the fence and show up. Three classic bands that sound a look amazing. What more could you want?